Look to the Catalonia dining table for a classic farmhouse design with metropolitan appeal. At home in both casual and formal dining rooms, this table showcases a beautifully distressed reclaimed wood plank top with character-enhancing breadboard ends. The simple breadboard top reminds you of simpler times, when families and friends shared the harvest at the end of the day. A full-length crossbeam adds strength and appeal to the overall design. The Catalonia table easily sits 6 dinner guests or family members. Industrial is the new black when it comes to urban home dicor and this table is a perfect dose of that rustic modern styling. The flared legs provide plenty of support and the compact size is great for smaller spaces or for adding in a bonus seating area in any room of the house. The combination of the solid elm wood and the distressed gunmetal is an easy match to any decor style and will mesh well with a variety of chair styles. Anchor your dining room in style, with the Utopia rectangular dining table, a quality and expertly crafted piece perfect for enjoying family gatherings and creating warm memories. The table comfortably seats four, and is a standout piece, available in a marble glossy finish or a sophisticated off-white featuring Natural Wood legs that keep this piece durable and modern. 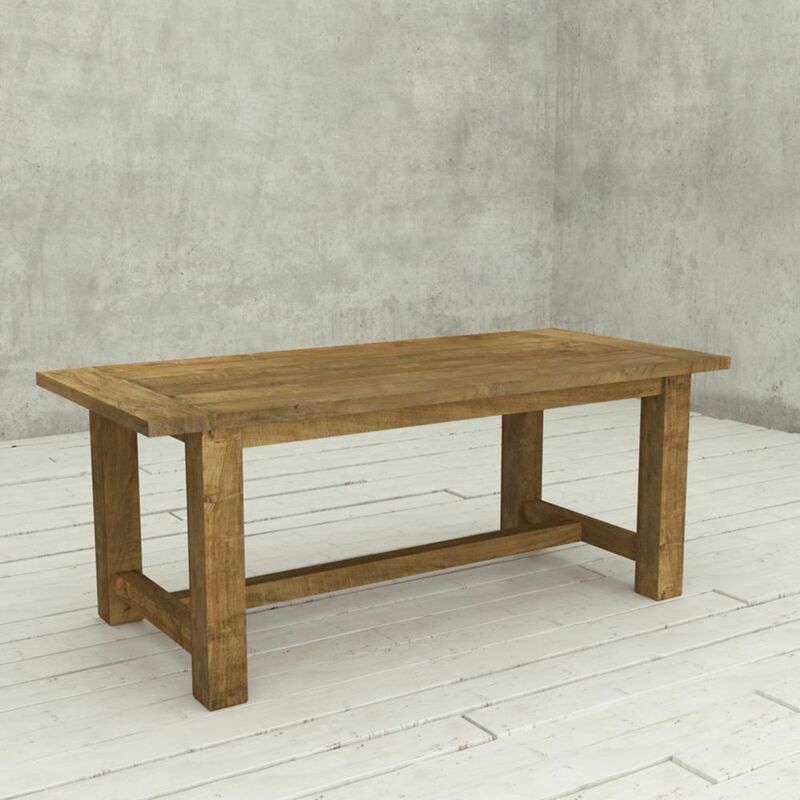 78 Inch Catalonia Dining Table Natural Look to the Catalonia dining table for a classic farmhouse design with metropolitan appeal. At home in both casual and formal dining rooms, this table showcases a beautifully distressed reclaimed wood plank top with character-enhancing breadboard ends. The simple breadboard top reminds you of simpler times, when families and friends shared the harvest at the end of the day. A full-length crossbeam adds strength and appeal to the overall design. The Catalonia table easily sits 6 dinner guests or family members.